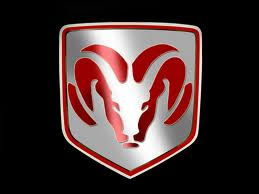 Dodge was established in the year 1900 as an auto parts company and then in the year 1915 as an automobiles corporation. It was founded by John Francis Dodge and Horace Elgin Dodge and it as its headquarters in Auburn Hills, Michigan. The Dodge Caravan is one of the first modern minivans and has been Dodge’s bestselling automobiles. The current Chief Executive Officer for the company is Reid Bigland, who is responsible for all global Dodge operations. The company was one of the biggest producers of war material during the Second World War, creating ambulances like the WC54 and other much needed vehicles at that time. The pickup trucks as well as the medium and heavy trucks manufactured by Dodge are known to be very popular among the masses and the make is very recognizable. Dodge’s range of ‘Adult Toys’ is a popular car line from the 1970s and included the models like the Lil’ Red Express pickup, which was eventually renamed as the Warlock. Dodge has been known to manufacture pickup trucks for the United States of America Military in the 1970s and 1980s. The key international markets where Dodge serves are Argentina, Asia, Australia, Brazil, Canada, Europe and Mexico. Dodge’s famous slogans include ‘Never Neutral’, ‘Dodge. Different.’ & ‘Grab Life By The Horns’.